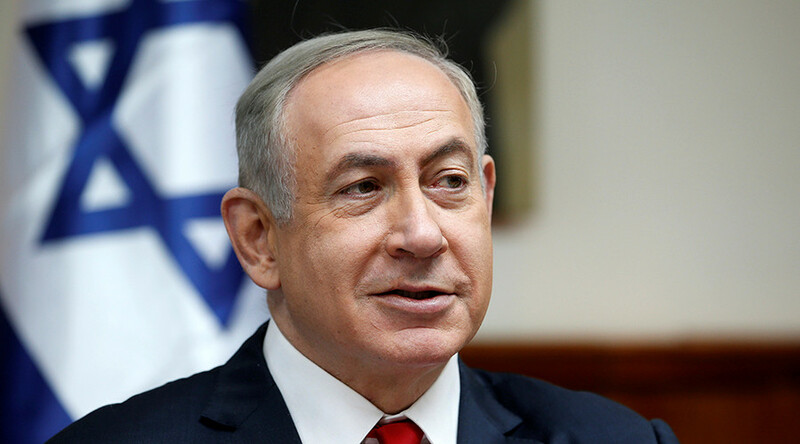 Israeli Prime Minister Binyamin Netanyahu has tweeted his support for President Donald Trump’s plan to build a wall along the US border with Mexico, hailing the proposal a ‘great idea’. The tweet comes in the wake of Trump signing several executive orders on immigration, including plans to erect a wall along the southern border and severely restricting travelers from seven Muslim-majority countries. "President Trump is right. I built a wall along Israel's southern border. It stopped all illegal immigration,” Netanyahu said. Trump recently referenced Israel in an explanation of his security plans during a Fox news interview. "The wall is necessary," the president said, "because people want protection and a wall protects. All you have to do is ask Israel." Trump later tweeted a clip of the interview from his @POTUS Twitter account. On Friday, President Trump signed an executive order indefinitely banning refugees from Syria and barring people from six other Muslim-majority countries from entering the US for 90 days unless they hold a diplomatic visa. The move sparked a flood of criticism from many quarters, including the UN which issued a joint statement on Sunday calling on Trump’s administration to continue letting refugees into America. A spokesperson for Czech President Milos Zeman praised the developments however, saying the new US president was simply concerned with the safety of American citizens. "US President Trump protects his country, he's concerned with the safety of his citizens. Exactly what EU elites do not do," Zeman's spokesman Jiri Ovcacek said in a tweet.